This kitchen is characterised by timelessly elegant black and white. To give the spacious, monolithic island a light air, a white ribbon meanders across every side, strikingly showcasing the functions of cooking and water. 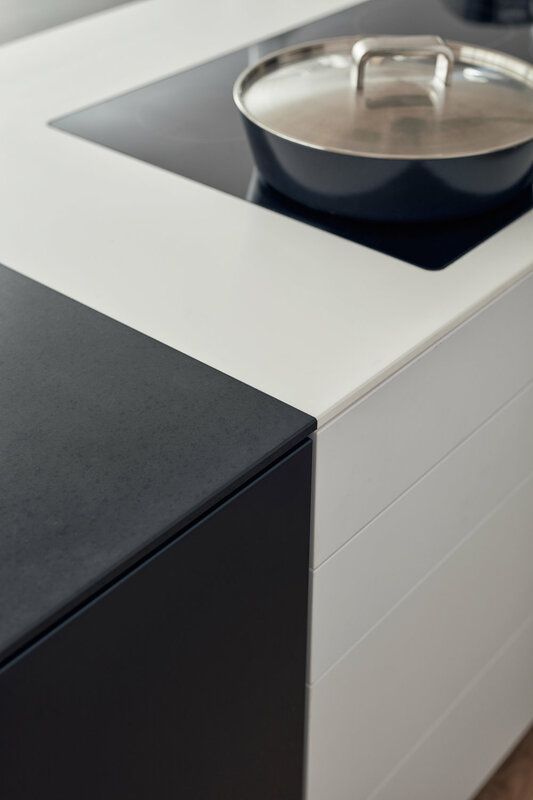 Another outstanding feature: fronts made of top-quality matt lacquer with an anti-fingerprint finish.The elegant BONDI makes a spacious overall impression whilst being perfect down to the very last detail. 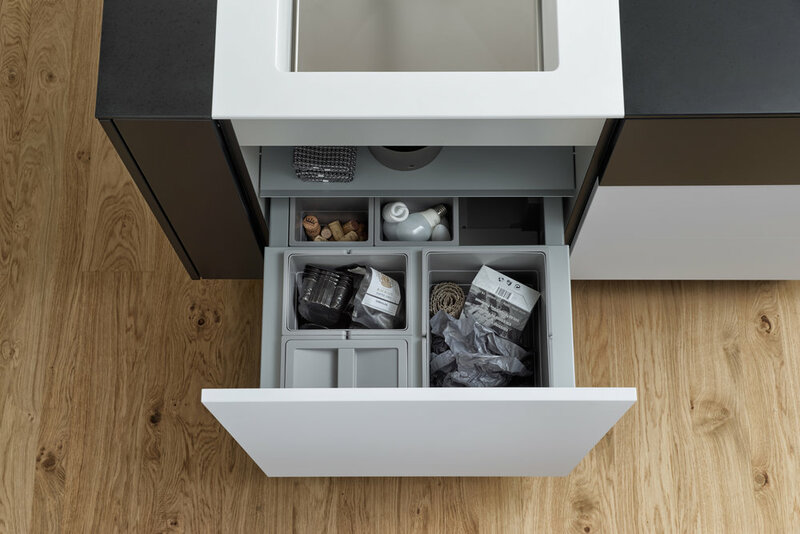 The tall units integrated flush into the wall are compelling as soon as you see the amount of space they offer – with lots of intelligent solutions for stowing things away. 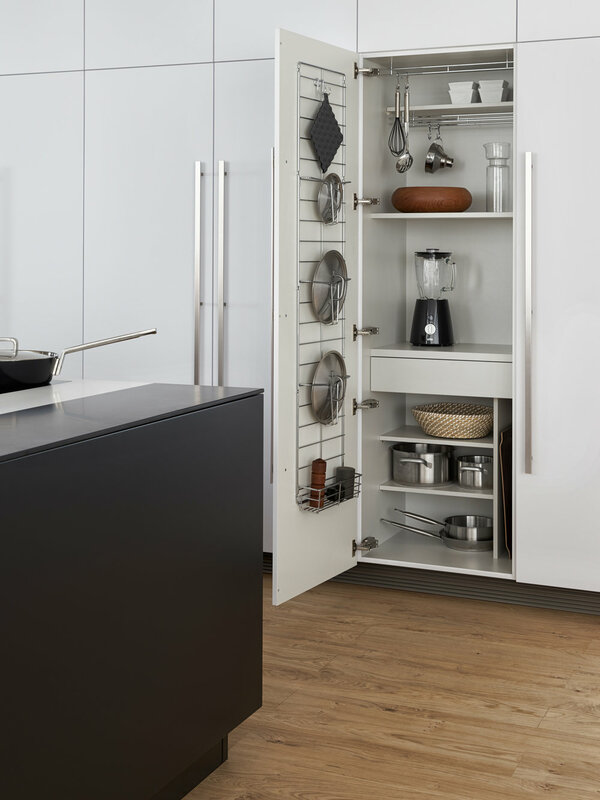 In a tidy kitchen, there is plenty of space to showcase personal items – that is how they can be shown off to true advantage.